Each list building tool has distinct filtering options to help you pull the most accurate business, healthcare or real-estate list. Use the dropdown items to refine your search by job level and job type. You will have the best success with leads that can identify with your product and influence a purchase decision. Pro Tip: Notice that many sections have + and drop downs - If you want HR, but specifically training, you can select that instead of the general section. Does your product work best within a particular industry or industries? Filter by Industry, SIC code, even search for specific companies you'd like to target. Pro Tip: If you're looking for broad areas you can easily scan and select based on broad criteria, if you want something very specific throw it into google with SIC code after and you'll likely get a 4 number code you can input into the system. 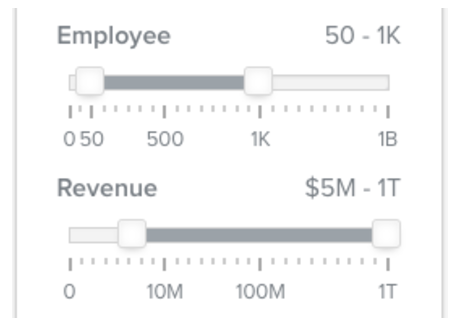 Tailor your list by number of employees and company revenue. This will ensure the leads you're targeting will benefit from your product, and that you have the infrastructure in place to support them. We have data from 170 countries, so you can pull contacts from all over the world! You can also create highly targeted lists to source contacts within a single area code or zip code. 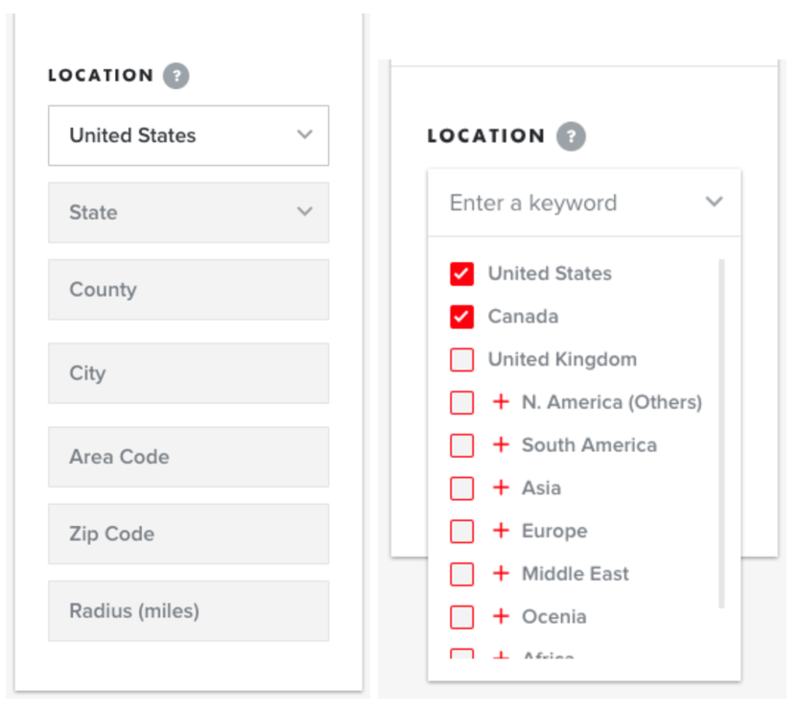 Pro Tip: If you choose to filter by radius, simply add the zip code, leaving the other location filters blank, then choose a desired radius. 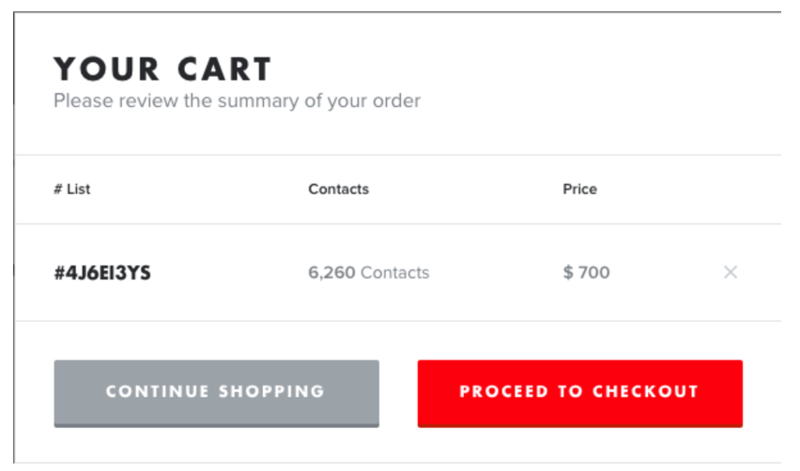 Once you've built your list, you can review the maximum number of contacts available for purchase at the top of the page. To accommodate your budget, you can adjust the size of your list using the slider below the list summary information. Pro Tip: If your list is smaller than you'd like, try adjusting the filter criteria. Expand your region, contact and industry criteria to increase your list size. Select BUY THIS LIST when you're ready to checkout. Rest assured that the price you see is what you pay for full ownership of your list - and don't forget about our minimum 95% deliverability guarantee. 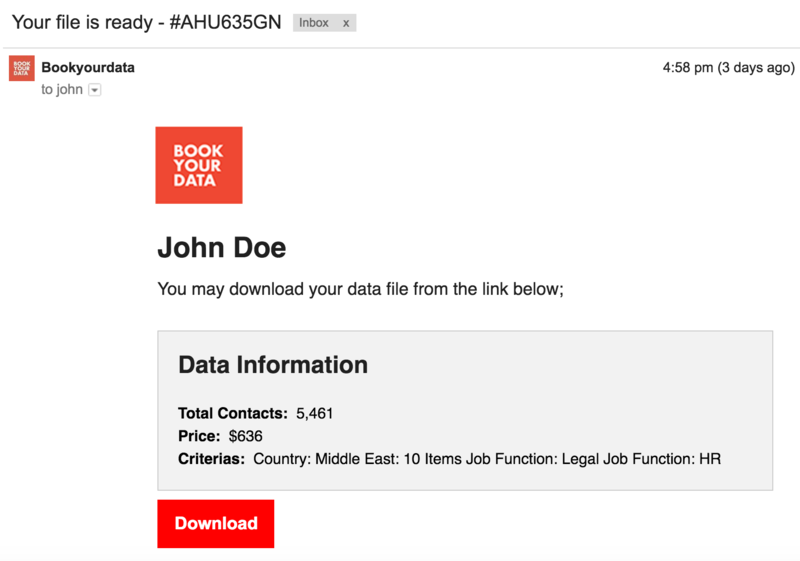 If you have anything less than 95% deliverability on emails using our lists, we will replace data up to 95%, free. But we do our part to ensure you get high deliverability the first time! In order to download your list, be sure to first create an account. Please use a business email address and cell phone number so that your account can be easily authenticated. Pro Tip: If you're having any trouble, use the chat box in the bottom right to solve your issue.